As many of you know, I am proud to be Yorkshire girl and after 4 years in London I am so happy to be able to once again call Yorkshire my home. Alongside my international travels, you can expect to see a bit more local content on The Travelista as I really want to inspire the world to come and visit my special home county. After convincing my friend and fellow blogger Aftab from Fresh and Fearless to make his first EVER trip to Yorkshire last weekend, I was determined to impress. I wanted to show him a few highlights of Yorkshire, so a trip to Bettys Tearooms was a must. For anyone from Yorkshire, Bettys will need very little introduction. 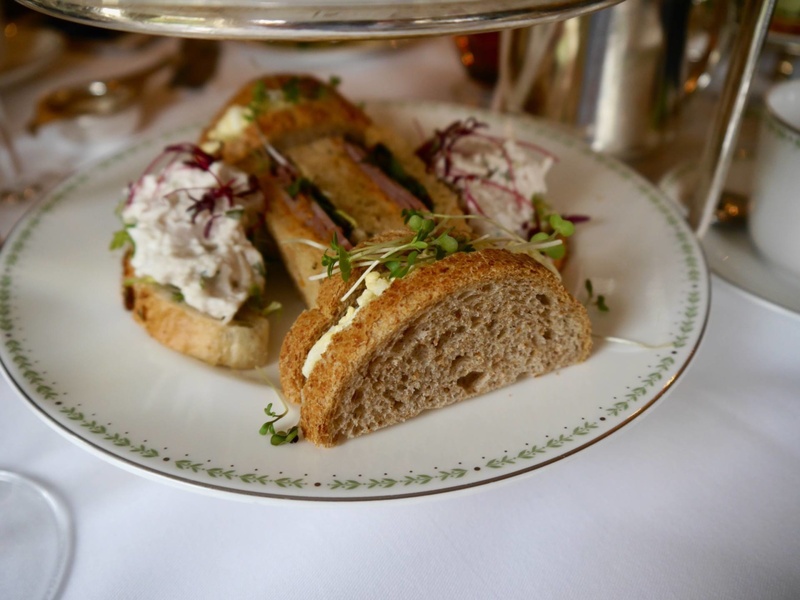 But for those of you from further afield, Bettys is a traditional and quintessentially English tearoom with branches in York, Harrogate and Northallerton. 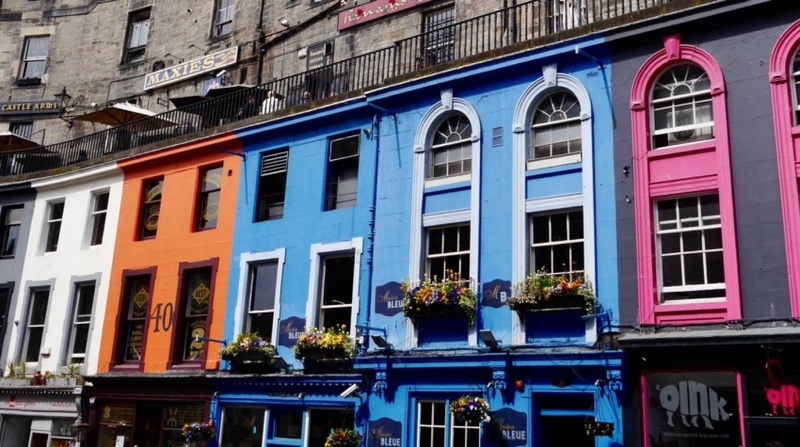 In short, it’s a much-loved institution in Yorkshire and is most famous for its afternoon teas (and it’s amazing fat rascal scones!). So what better place to take my London friend than to Bettys in Harrogate for a champagne afternoon tea? I have visited Bettys many times, but this particular time was also a first for me. It was the first time I had dined in the Imperial Room for the Lady Bettys Afternoon Tea and it felt like such a treat. This particular afternoon tea is held in sittings in the upstairs Imperial room, overlooking the greenery of Montpelier Hill. The Imperial Room was incredibly elegant with big windows, high ceilings and plush décor, the perfect setting for afternoon tea. We opted in for the champagne and were offered a choice of White Premiere Cru Champagne, Rose Prestige Champagne or a Kir Royale cocktail. We all opted for the white champagne and watched as it was expertly poured into our flutes. 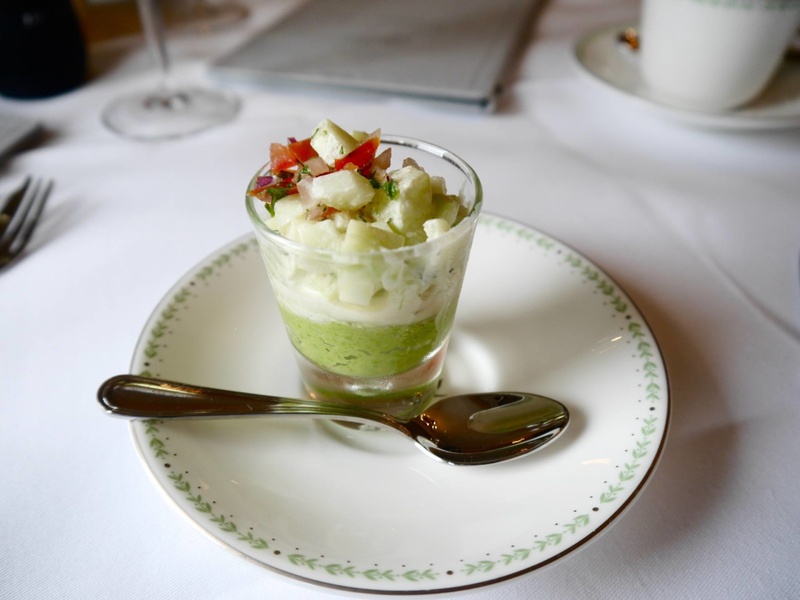 The Lady Betty’s Afternoon Tea started with a pea, cucumber and tomato cocktail appetizer which acted as the perfect palette cleanser. The main event came on two beautifully stacked cake stands with three plates for the sweets, the scones and the sandwiches. The waitress was amazingly accommodating and let us all create our own sandwich combinations from the regular and the vegetarian menus, rather than having to choose one or the other. The sandwiches included egg mayonnaise, chicken and tarragon and ham and tomato pate. 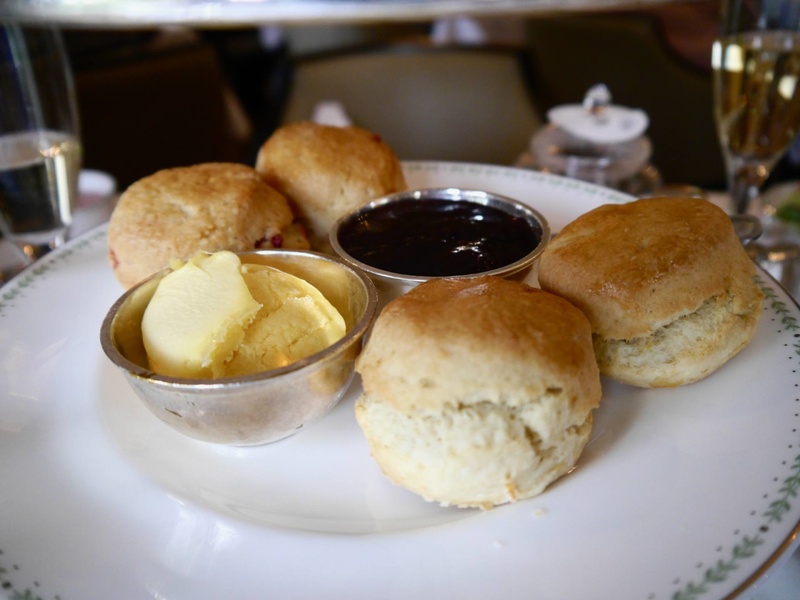 The part I always look forward to the most in an afternoon tea is the scones. I was very interested to try the rose and lemon scones, of which we got 2 each. Both scones were deliciously flavoured and the waitress told us we could re-order more of anything on the cake stand. Topped off with clotted cream and strawberry jam, the scones were every inch the indulgent treat I was looking forward to. 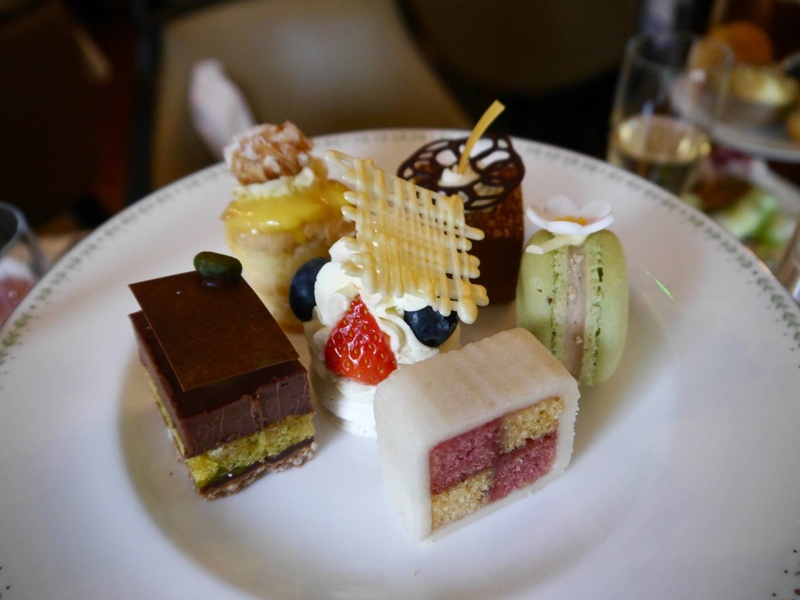 Cakes and sweet treats are Bettys’ specialty so I had no doubt that the afternoon tea cakes would be incredible. Each item had been hand-lovingly made on-site by the patisserie chefs and looked like something fit for the Great British Bake Off. My favourites on the sweet plate were the choux pastry lemon religiuese and the gooseberry macaroon. 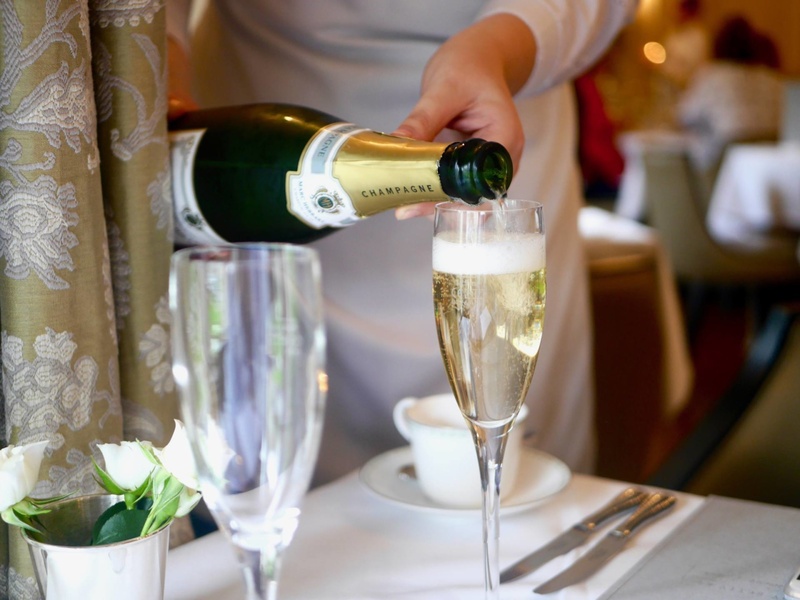 The Lady Bettys Afternoon Tea is priced at £32.95 per person or £39.95 with a glass of champagne. It’s available at the York and Harrogate tearooms but pre-booking is essential. Click here to view the full Lady Bettys Afternoon Tea menu. Special Thanks to Aftab and Binny for coming to visit me in Yorkshire! 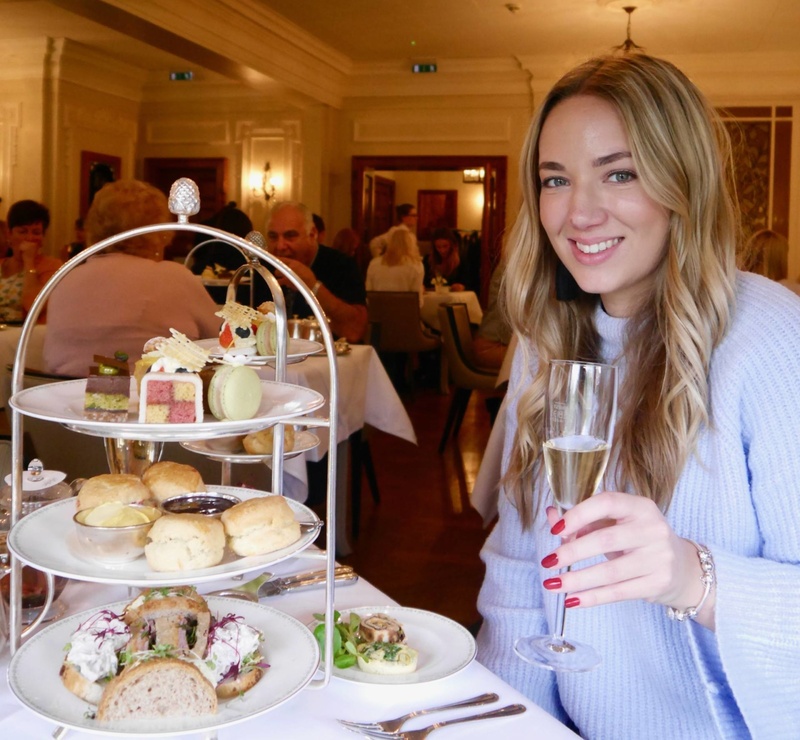 What did you think of my afternoon tea experience at Bettys in Harrogate? Have you visited Betty’s yourself or has this post inspired you to visit next time you’re in Yorkshire? I’d love to hear your thoughts! My mom and I are hoping to book Bettys Afternoon Tea for an upcoming trip. How much time would you recommend blocking on our calendar for it? Thanks! I LOVE Betty’s. 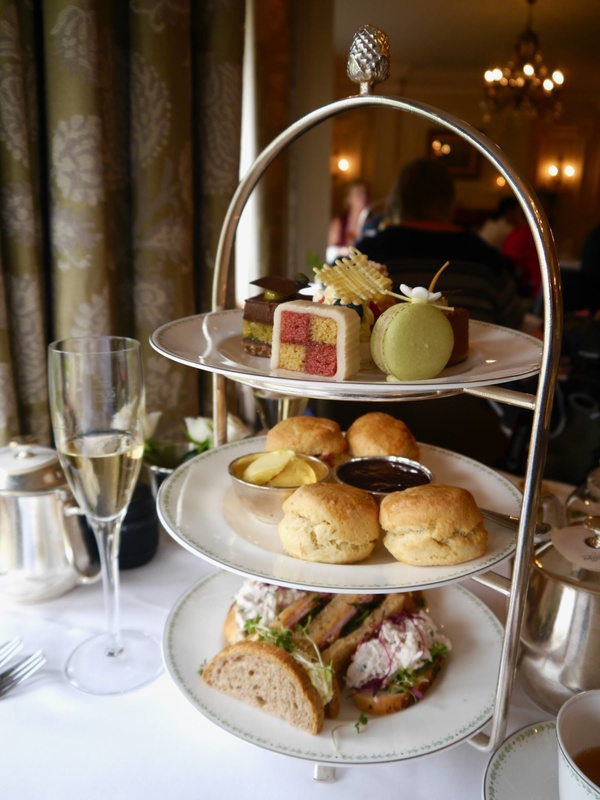 My mum used to take me there for cinnamon toast as a treat when I was younger but haven’t been for a while – the afternoon tea looks lovely! You had me at rose and lemon scones! Looks delicious, and lovely that you got to catch up with Aftab and Binny in the process. My husband took me to Betty’s for champagne afternoon tea in the Imperial Room and I loved it so much, would love to take another trip back. The Lady Bettys afternoon tea looks fab! I visited Betty’s years ago when I lived in the area! Looks like you all had a fab time!